Has anyone used one of these to mount a fire extinguisher to their passenger seat in an FD? 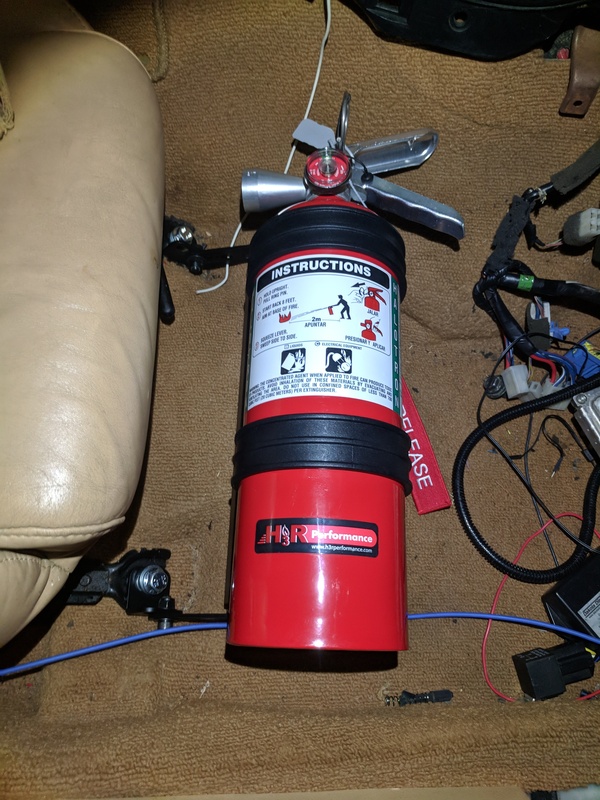 https://h3rperformance.com/seat_mounts.htm I'm aware of the Sakebomb Garage offering but I would like to mount my 5lb Halon extinguisher. Re: H3R Performance Universal Fire Extinguisher Seat Mounts in FD? 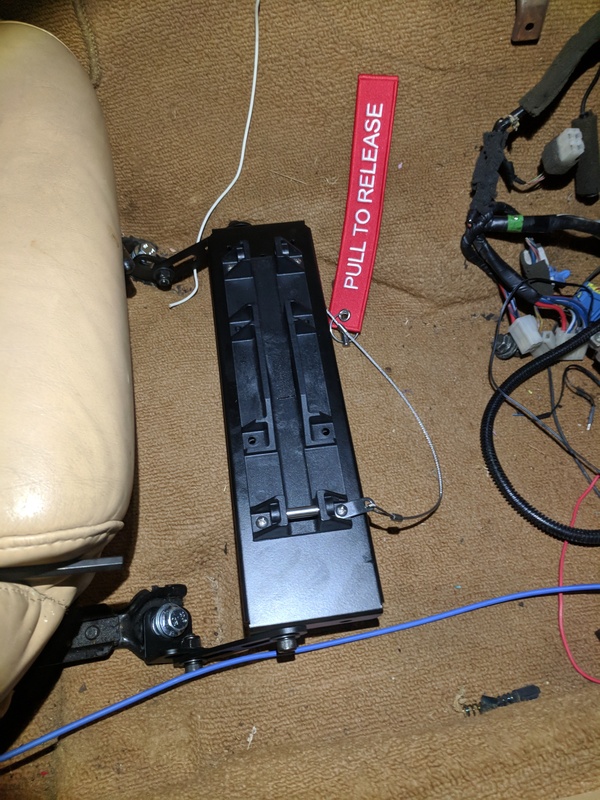 I had to rotate the bracket closest to the passenger door 180 degrees, and had to buy longer bolts and use some washers to stand the mount bracket off slightly from the seat mounts. The mount plate sits a little over an inch above the carpet and the highest point of the side of the cylinder is below the top of the seat cushion. Overall I'm happy with the build quality and ease of installation.